Gent was conceived by Andy Martin in August 2016. Gent’s early days were spent playing many shows (gig archive on the website below) and preparing his debut single, Warning Sign. In January 2018, Warning Sign was featured on BBC Introducing in Norfolk and Andy set off on the road performing many gigs through the spring and summer in support of the single. Gent’s new single ‘Silence Of A Gun’ began production through the summer of 2018. 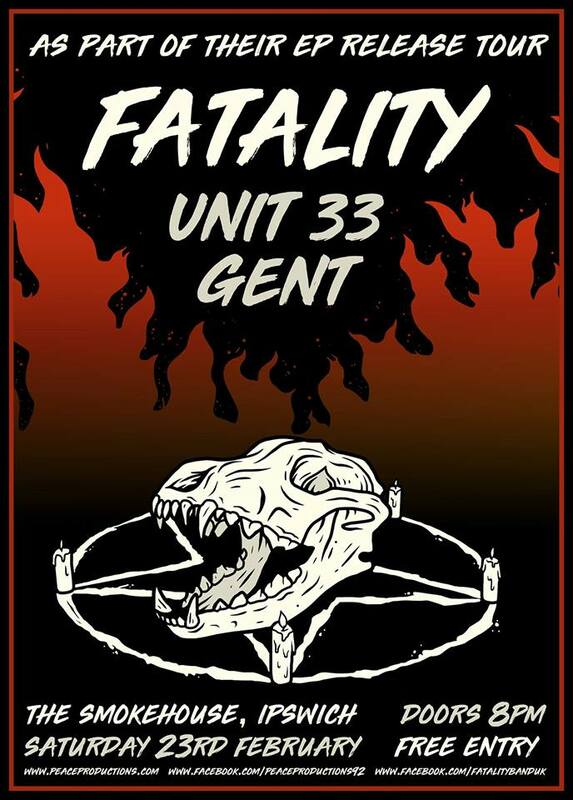 Unit33 were formed in late 2017. With a love for Heavy metal and Hard Amrican rock , their own distinctive style was created. With melodic vocals and thrashing heavy metal guitar sections, their set was born! Fans of the likes of Altrbridge and Shinedown through to Slipknot and Killswitch Engaged will love this hard hitting quartet ! !